I believe in order to understand, cope, and communicate effectively with a person living with dementia you first need to have a "rock solid" understanding of how Alzheimer's affects the brain, and how it works to defeat the brain. When Alzheimer's or dementia strike it is very difficult to understand how memory is being affected. Alzheimer's patients can hold interesting conversations and they can recall, often remember, all kinds of details from their past. Because they can converse effectively, many people deny, or fail to believe, that a person is having trouble with their memory. Fail to believe that they are suffering from Alzheimer's disease. Learn More - Do You Know Difference Between Dementia and Alzheimer's? The caregiver of course knows first hand that a person living with dementia is having problems with their memory, daily living, are often moody, and sometimes express challenging behaviors. The real problem, persons living with dementia cannot remember the right now, or the very recent. After a time, cannot remember what just happened. Many caregivers themselves have problems understanding how, or why, a person living with dementia can remember things that happened many years ago, but can't remember what day it is, what month it is, or what they were doing five minutes ago. Or, why the keep asking the same question over and over. In this article we will try to demystify these issues, and explain how Alzheimer's desease (AD) affects the memory of a person living with Alzheimer's or a related dementia (ADRD). The part of your brain that is responsible for storing new memories and recalling old memories is called the hippocampus. In other words, the hippocampus is in charge of short term memory, and long term memory. Everything that comes into the brain, and everything that comes out of the brain comes through the hippocampus. When you talk with someone, listen to music, learn something, or even wash the dishes you rely on one of the several different regions of your brain that are used to remember or accomplish a task. When Alzheimer's strikes it damages the hippocampus first. When this happens new information does not get stored properly in the brain. From a laymans point of view, the hippocampus can no longer tell the new information where to go in the brain, so it no longer gets stored in the brain. When it comes to Alzheimer's disease you can think of new information like this, it goes in one ear and out the other. However, there is already an enormous amount of information stored in the various parts of the brain of a person living with dementia. The information is there, and it has already been stored in the brain. See How Alzheimer's Affects Memory for a good explanation about the various working parts of the brain. In the earlier stages of Alzheimer's, the hippocampus cannot store new memories; however, it can retrieve old memories. My mother Dotty could not remember what she had to eat even minutes after she ate. Not only couldn't she remember what she had eaten, she couldn't remember she had eaten. This explains in part why she would say, I'm hungry, I'm starving minutes after eating a steak, baked potato, and broccoli. The hippocampus couldn't send the information that she had eaten into the appropriate storage area of her brain. It could not do this because it was damaged by Alzheimer's disease. Because the information had not been stored in her brain, she couldn't recall it. Dotty couldn't remember she had eaten. Not even after three square meals and two snacks in a single day. If you asked her what did you have to eat today she would give the same answer every time -- nothing. However, even after my mother was scoring a 14 om the MMSE, an indication that she was beyond the moderate stage of Alzheimer'a and heading for the severe stage, she could recall facts from the early part of her life. For example, one day when she was 93 years old I asked her, where did you go to first grade? She hesitated briefly and said, Saint Monica's. I asked where is Saint Monica's? She answered, in south Philadelphia. I then asked what street was it on? She couldn't answer that one. My point. My mother was in first grade in 1922. 1922, not a typo. For the previous six years my mother could not answer this simple question, what did you have to eat today? But she could tell me the name of her first grade school. This first example is a good example why it is so difficult for family, relatives and friends to understand Alzheimer's disease. I mean how bad can it be if they can converse with you and talk about all kinds of things that happened when you were younger? My mother played bingo at least once or twice a week for at least 60 years. She also worked directly with numbers for at least 45 years. She worked as a bookkeeper until the age of 79. Three months before my mother died, and more than 8 years after her "official"diagnosis" she was still playing bingo. I had two friends sit on each side of her while playing and they both assured me that she was able to mark every number on 3 cards as the numbers were called. She did not need any assistance marking the numbers on a bingo card. Here is what she could not do. She did not know when she got a complex bingo. A complex bingo would be like needing the 4 corners on a bingo card, or making the letter "T". She did need assistance when she made a "bingo". They usually called it for her. Dotty could still do very simple things that she knew how to do before Alzheimer's because I kept her doing them. However, she could no longer do the complex. She forgot how to do the complex. In addition, she could not learn new things. This is what happens as Alzheimer's spreads throughout the brain. There is good news. 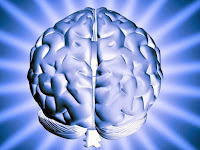 We have a series of articles in our Alzheimer's Reading Room Knowledge Base that are going to help you, your family, relatives, and friends understand how Alzheimer's affects the brain. I suggest you take the time to read, review, and absorb each of these article. You might also consider sharing them with family, relatives, friends, and associates. In this way you can help reduce the misunderstandings and stigma that are often associated with Alzheimer's and related dementia.